So you’ve started using temporal tables because they make your point-in-time analysis queries super easy. Your manager is happy because you’re getting historical data to him quickly. Your DBA is happy because she doesn’t have to clean up any performance killing triggers that replicate a temporal table’s functionality. Everything with temporal tables has made your life better. Except that time when you accidentally inserted some bad data into your temporal table. The good news is that all of your data is still intact — it’s been copied over to the historical table. Phew! Now all you need to do is rollback this inadvertent row insertion and make your tables look just like you did before you started breaking them. This should be easy right? Well not exactly — there’s no automatic way to roll back the data in a temporal table. However, that doesn’t mean we can’t write some clever queries to accomplish the same thing. This data represents my totally real, very very not-fake rental car business. You see those two rows in the top temporal table? Those are the ones I just added accidentally. I actually had a bug in my code *ahem* and all of the data inserted after 2017–05–18 is erroneous. You’ll notice we also updated the SysEndTime — that’s because a temporal table always has its AS ROW END column set to the max datetime value. This is the data we want! 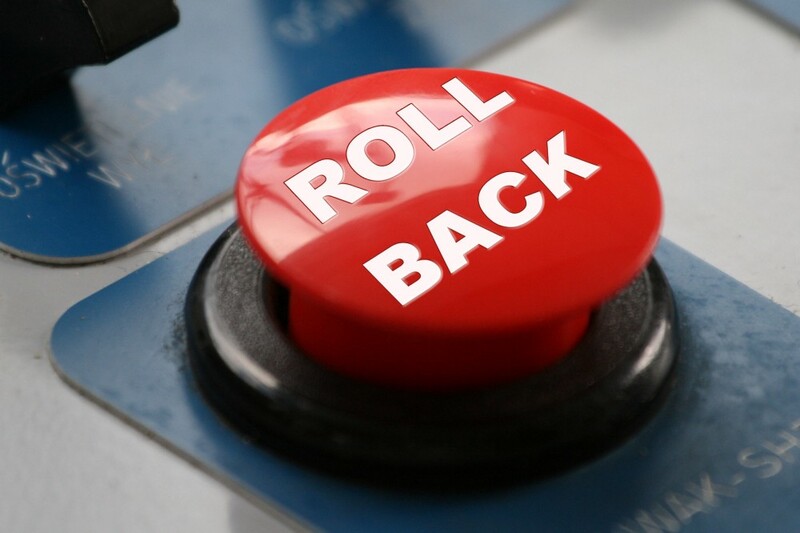 Now, it’d be nice if we could just insert the data from #Rollback straight into our temporal table, but that would get tracked by the temporal table! We have rolled back our data successfully! Did you notice that the last SysEndTime values in our historical table don’t match up with the SysStartTime values in our temporal table? This is a data integrity issue for our temporal table — our datetimes should always be continuous. Congratulations, you’ve rolled back your temporal table data! can we use the history table in reports ?